An esoteric choice, this is not really one colour at all, but rather a mélange of blacks, greys and natural tones. We appreciate this colour in many materials: stone, flannel and asphalt, to name but three. 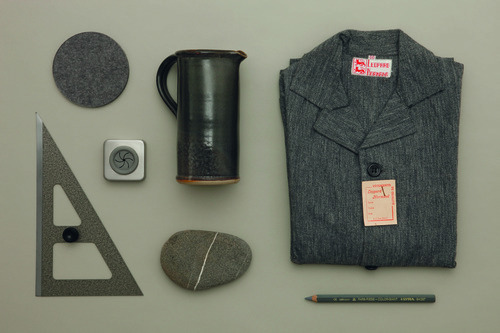 It brings to mind the grey felt sculptures of Joseph Beuys, whose work we have long admired.